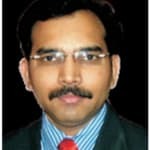 Mr. Srikanth Acharya is one of the best Psychologists in Habsiguda, Hyderabad. He has been a practicing Psychologist for 14 years. He is a M.Sc - Psychotherapy, INTERNATIONAL AFFILIATE, CERTIFIED HYPNOTHEREPIST, PGDGC, BA.PSYCHOLOGY, MPNLP. You can visit him at GVA INSTITUTE OF PSYCHOLOGY in Habsiguda, Hyderabad. Don?t wait in a queue, book an instant appointment online with Mr. Srikanth Acharya on Lybrate.com. Lybrate.com has a number of highly qualified Psychologists in India. You will find Psychologists with more than 40 years of experience on Lybrate.com. You can find Psychologists online in Hyderabad and from across India. View the profile of medical specialists and their reviews from other patients to make an informed decision. GVA INSTITUTE OF PSYCHOLOGY,303 saikrupa nilayam ,adjacent lane to bharatpetrol pump,Habsiguda,Hyderabad. Dangal - Things That It Teaches Us! Dangal is one of the most revolutionary movies of our times. It has received rousing reviews from critics and avid film goers alike and has been hailed as a path altering film, which has definitely raised the benchmark as far as realism in commercial cinema goes. The movie is based on the real-life tale of Mahavir Singh Phogat and his two daughters, whom he trains to perfection so that they can become international level medal winning wrestlers. Let us look at the psychological aspect of this movie. Helicopter parenting: In this movie, we find a helicopter parent in Phogat who wants his daughters to attain a certain brand of perfection. In many ways, his parenting style has been derived from his unattained dreams, which he also projects onto his daughters. In today’s day and age, such kind of parenting usually leads to a lack of decision-making skills as far as the child is concerned due to the excessive intervention of the parent in every decision and situation. Perfection: In an obsessive compulsive disorder or OCD manner, the main character of the movie also projects his need for perfection on to his children, even going as far as limiting and completely cutting off their normal childhood habits like craving for sweet and savory food, as well as TV viewing. This may be seen as an extreme measure and case of OCD as far as his dedication to his training ideals go. Sports pre-performance tactics: In the movie, we have been shown myriad sports pre-performance tactics that are used by the best sportspersons the world over, in order to achieve their goal. This kind of pre-performance is especially important in physical pursuits because it helps in aligning the brain with the body by removing all distractions. Most sportspersons have various routines that may involve breathing exercises or listening to a pep talk, or even a certain kind of music so that this kind of a mindset sets in and they single-mindedly focus on the music, talk or breathing in order to remind themselves of what they are to do on the field. Dealing with failure: This is of major importance. In the movie, we find that one of the characters misses the Olympic medal by a whisker due to an unfortunate incident. Yet, this must not be seen as a deterrent. The sports person has to remember that at the end of the day, his or her hard work, sweat and turmoil is the ultimate trophy or medal, rather than the physical manifestation of the same. The fact that he or she has managed to rise to that kind of physical stamina and endurance in the field is in itself a prize that shows how far he or she has come from all other professionals in the same field. If you wish to discuss about any specific problem, you can consult a psychologist. Body Dysmorphic Disorder - How It Can Be Treated? Brain disorders: Many people with abnormal brain chemistry disorders suffer from body dysmorphic disease. Genes: People whose blood relatives have this disease or have obsessive compulsive disorder are more likely to develop this disorder as well. Environment: Cultural and social influences are a major cause of body dysmorphic disorder as well. Having a preoccupation with a flaw in the body, which is very minor or perhaps even unnoticeable. Beliefs that people are mocking you in relation to your flaw. It is also worth noting that this obsession can affect any part of the body and can also include several parts of the body or different parts of the body at different times. Here are the possible treatments of body dysmorphic disorder. There are a variety of treatments, which a patient can opt for and a variety of methods of curing the problem. Here are the most common. Cognitive behavioral therapy: This is when a therapist tries to stop you from thinking about the flaw that you have been focusing on way too much. SSRI: SSRI stands for Selective Serotonin Reuptake Inhibitors. They are given in cases, where body dysmorphic disorder is caused by problems related to the brain chemical serotonin. Hospitalization: This is a severe measure, but may need to be taken if you are in danger of harming somebody or you cannot perform daily activities. If you wish to discuss about any specific problem, you can consult a psychologist. Now that I have got married with someone whom my family wanted me to marry with. How do I move up with my past? Hypnotherapy would help you to move up with your past and accept things as they are . Consult privately for the needful. [Automatically added by Lybrate] Click "Consult Dr. Srikanth Acharya" below to consult privately with the doctor.